Machines will rarely die from one moment to another and they usually send out warning signs of their sickness and an SOS message for treatment. Unfortunately, we usually don't recognize these signs and one morning we just get annoyed with the dysfunctional door due to the broken garage door spring. We may even notice that something is not entirely right with the way our garage door works and postpone the service to eternity. Does the remote function properly? If you have to press the button more than once to activate the opener, you should check the condition of the garage opener remote. You may simply need to clean the inner circuit or change the batteries. You must keep in mind that the opener is connected to several parts and you must also check its wires and the sensors. Different noises would point to different parts. Don't forget that most doors are pretty noisy because they work with a chain drive opener, which is loud. As an overall, you must keep the chain of the motor and all mechanical garage door parts well lubricated to diminish the levels of the noise. Does your door moves slower or leaves a gap underneath? You should check the springs first, which regulate the movement of the door but, of course, if the cables are loose, they will slow down the movement of the door, too. You must also check the opener and ensure the bottom seal is not damaged because a door, which cannot close properly, may compromise your security. 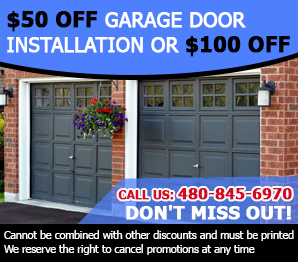 Garage door adjustment may take care of many of these problems as well as regular service of the vital parts and lubrication of the mechanical ones. If the door goes up or down with many “intervals” in between, you should check not only the mechanical parts like the springs and cables, but also the wires because automatic garage door openers have plenty of electric components as well. You should see that they are connected with the opener properly and are in good condition or they will need to be replaced.